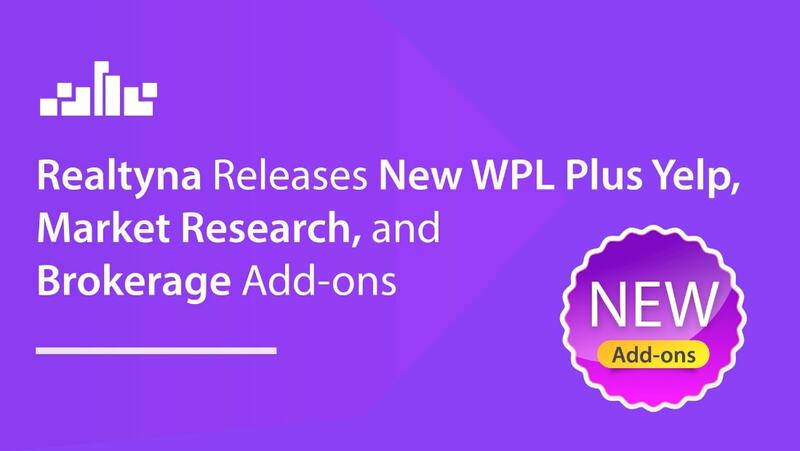 Realtyna is happy to announce a new release of its powerful real estate plugin for WordPress, WPL, as well as three new add-ons for Yelp, market research, and brokers. WPL is one of the most popular software packages for IDX with more than 5,000 active users. In the new release, Realtyna adds integration with the WordPress Elementor page builder. The new functionality allows users to take advantage of Elementor’s leading design tools when building an IDX website. The new release also includes improvements to image sorting and translation to improve system speeds and user experience. The new Yelp Add-on allows users to add Yelp Places to their property listings and boost neighborhood intelligence. The add-on automatically pulls restaurants, services, gyms, shopping, and nightlife options from Yelp and plots them on the listing map. Users can customize the number and type of Yelp places shown by default. More and more buyers are looking for access to local amenities when purchasing a home. With the Yelp Add-on, Realtyna users can provide this information within their listings. The Market Research Add-on allows users to track activity on their site and make better marketing decisions. The add-on monitors website usage and generates summary reports in the WordPress back-end. Internal metrics include most popular listings, most popular search, most popular neighborhoods, and more. With the new Market Research Add-on users, can get a sense of their “average user” and improve lead capture and conversion. 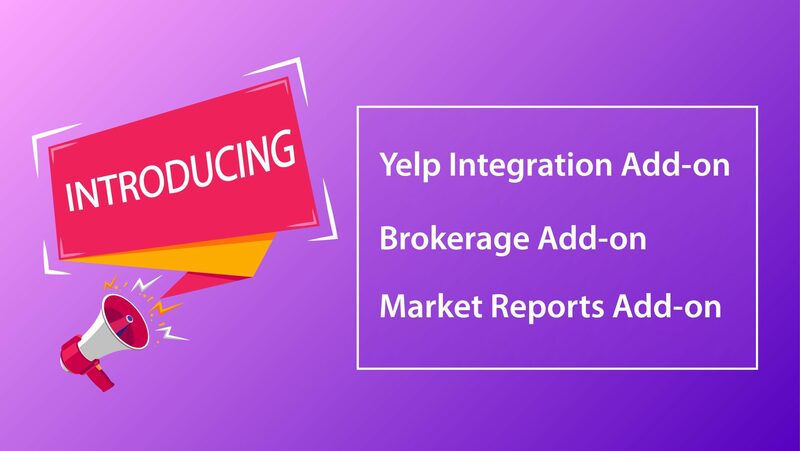 The Brokerage add-on adds a new user type to the WPL system—Broker. Brokers can add listings and agents, as well as, manage any listing their agents add. This allows WPL permissions to mimic the structure of a real estate company. Realtyna is a leading provider of online real estate solutions for WordPress. The company serves more than 150,000 clients worldwide. Its software is used to connect to more than 100 MLS across the United States and Canada. Realtyna products are known for their accuracy and flexibility. Founded in 2007, the company has a track record of client satisfaction more than a decade long. For more information, visit www.realtyna.com.